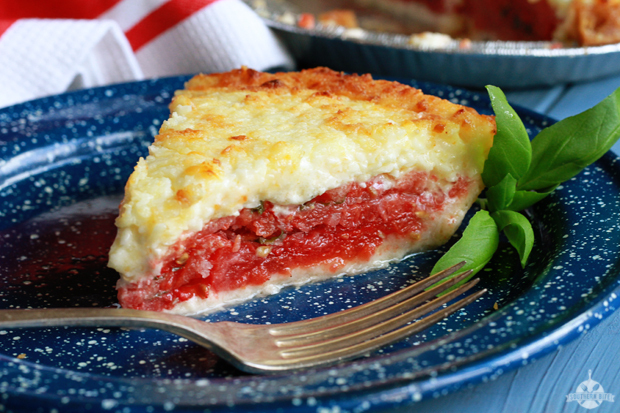 This delicious tomato pie recipe is a real favorite at our house. If you saw this post, you know I’m not here. I’m still traveling but have a great lineup of recipes and guest posts from my friends! Next on the list is from Stacey over at the Southern Bite! Guess what I just learned about Stacey? He is now a contributing writer for QUEEN LATIFAH. How cool is that!? And he’s being so casual about it! I’d be all “HEAR YE, HEAR YE!” if it were me! He and some of my other my blogging buds were helping me decide if I wanted to do a similar gig with another network and he just slid it in there so casually. I was like EXSQUEEZE ME?! Did you just say QUEEN LATIFAH?! He’s humble about it but he’s kind of a big deal. He’s got an awesome cookbook. He’s been on the Today Show. His blog rocks. He’s writing recipes for QL AND he gets to be the only dude in our gaggle of food blogger friends. The man has got it going on. Today he’s sharing his tomato pie with us. I’m so glad too because I don’t have mine on the blog yet and people ask me for a tomato pie recipe all the time. Well, now I have one to give you! 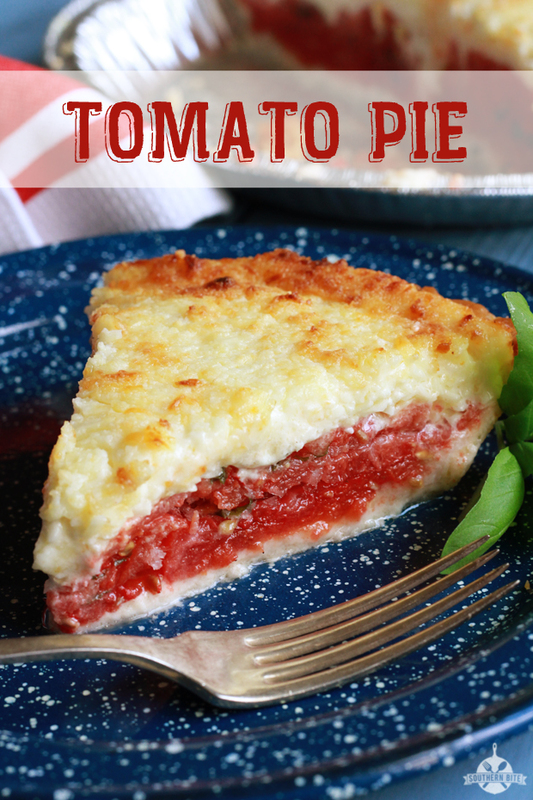 This delicious tomato pie is a real favorite at our house. The fresh basil really put it over the top, but the dried basil works just as well if you don’t have fresh. Y’all enjoy! Click here to view the rest of the recipe. And be sure to tell Stacey thanks for being such a good host! I'll be back soon! Y'all be good! Thank you for this recipe. I look forward to making it this weekend.